You are here: Home / 401(k) / What if My Company’s 401(k) Plan is Lousy? 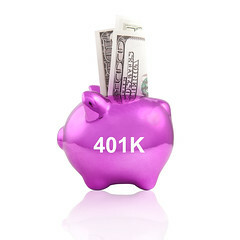 Financial advisors (including yours truly) generally suggest maximizing contributions to your company’s 401(k) plan. But what if your 401(k) plan is lousy? Here are some tips to help make the best of a lousy 401(k) plan. So what can you do to make the best of a lousy 401(k) plan? Even if your plan is lousy often there are at least a couple of decent mutual funds in the plan. Consider focusing your contribution in these few investment choices and using investment dollars outside of the plan to complete your portfolio’s overall asset allocation. If your company matches your contributions, contribute at least enough to receive the full company match. For example, if your plan offers to match half of all contributions up to 6 percent of your salary, that’s an extra 3 percent contribution from the company, which gives you an instant 50 percent “return” on your money. That’s hard to beat. Everyone can contribute $5,500 ($6,500 if you’re age 50 or over) to an IRA for 2013 and for 2014. The deductibility of a traditional IRA contribution will depend upon your income and whether you are covered by an employer’s retirement plan. Likewise, with a Roth IRA there are income ceilings that determine whether you can make a Roth contribution. If your spouse’s company offers a better 401(k) plan try to maximize your contributions to that plan. Do you run a business on the side? If the business is generating income, consider starting a retirement plan. Among the options to consider are a SIMPLE, a SEP-IRA, and a Solo 401(k). Remember that any contribution limits will apply to your company retirement plan and your self-employed retirement plan combined. Do your homework and outline your concerns with the plan. With new 401(k) disclosure rules that went into effect in 2012, your plan administrator may be more receptive to your input. Of course, common sense and civility should prevail when bringing concerns to the company’s attention. 401(k) and similar defined contribution retirement plans represent an excellent retirement savings vehicle. The ability to contribute via ongoing salary deferral is a painless way to invest for retirement. Sadly some employer retirement plans are quite lousy. If yours is one of these plans make sure to look for additional ways to save and invest for your retirement and be diligent in making those contributions. Please contact me at 847-506-9827 for a complimentary 30-minute consultation to discuss your 401(k) plan and all of your investing and financial planning questions. Check out our Financial Planning and Investment Advice for Individuals page to learn more about our services. I do have a lousy 401K plan and I do fund my IRAs in full (including spousal!). But I also optimize what I put in my 401K. Picked a index fund from a basket of high priced loaded funds. Even the index fund is priced three times Vanguard’s, but the cheapest of the bunch. If given a lemon… and all that jazz! Thanks for your comment. I sometimes just have to shake my head when I encounter plans such as yours. Another option is to see whether your 401(k) provider allows partial rollovers. If that’s the case, you can contribute into your 401(k), pick the best investments possible (like you did), receive the match, and then roll it into a traditional IRA that allows you to invest in low-cost index funds. Or if you ever leave that employer (or stop receiving a match) you can just roll the whole 401(k) over into an IRA. Some rollovers can be a little tricky or a hassle though, depending on the original provider, where you’re rolling it over to, and how the process for each place works. Great post by the way. Here at WiseBanyan, we’ve seen this issue affect a lot of people as well. Full disclosure: I’m a co-founder of WiseBanyan. Our ethos is to lower costs (index ETFs), lower the barrier to investing (no minimum), and make life as easy as possible (automated allocations and rebalancing). Thanks for your comment Vicki. I’m not familiar with WiseBanyan I will check out your site. What you describe is certainly a potential option. As you mentioned you would need to be sure to understand any rules and restrictions imposed by the plan’s rules when attempting this as well as understanding if your right to the match would be impacted by the plan’s vesting schedule. All good tips. The typical wisdom is what you say, contribute to your 401(k) up to the company match, then contribute to a Roth IRA, and then decide on contributing further to the 401(k) or contributing to taxable. I was lucky in that my company owners set us up with a SEP-IRA when we were small, and then moved to a 401(k) with full brokerage services when we grew larger than 50 employees. Then, when our company was bought out, the larger company’s 401(k) contains several very low cost Vanguard funds and a stable value fund which is great in this time of interest rate unrest. Thanks for your comment Bryce. Sounds like you’ve been fortunate with your retirement plan options over the years.